We posted before about the potential of that nasty Legionella bacteria, lurking in compost, and it seems that research has been ongoing into this health concern. A recent study of 22 different types of compost, carried out at Strathclyde University, in Glasgow, by a team of specialists, revealed that 14 of them carried a type of Legionella species known to cause Legionnaire's disease in humans. 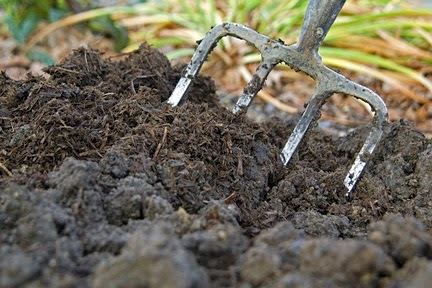 "Legionella bacteria appears to be "common" in many compost brands sold in the UK"
and suggests that a more extensive survey would be beneficial in order to clarify the extent of the problem. Dr Beattie, one of the researchers who worked on the study, was quick to reassure compost consumers though, saying that although the bacteria is common the chances of infection are not. She does, however, think that UK compost manufacturers may benefit from following the lead of other countries, such as Australia and New Zealand, by putting hygiene warning labels on their products.